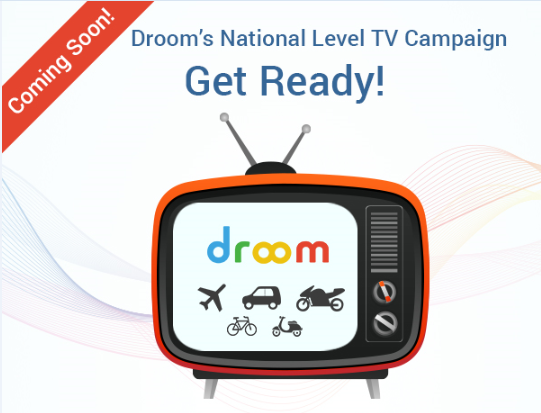 We are super excited to share that soon we are launching our first national level TV campaign. You will be able to catch us up on your favorite TV channel soon. It’s a big milestone for entire Droom family and would not have been possible with the immense support and response from our huge customer base across India. A lot of work and efforts of many days and nights have gone in the making of TV advert. It captures the concept of buying used vehicles online and how Droom’s value proposition is different from all other online classifieds, giving buyers and sellers an edge in the highly competitive used automobile. It shows the pride, joy and celebration around buying a used vehicle, which of-course id new for you. Our advert is not just a creative work which we get to see often; instead it is a mix of our vision, strong commitment to deliver best in class customer service, 21st century buying experience, fair price guarantee, verified documentation, inspected vehicles, Buyer Protection and trust. We have put the buyer at the heart of the concept and have tried to capture moments from our day-to-day life and address the pain points for used automobile buyers with a positive solution. Also make sure to click through droom.in and take drive through our new exciting home page. We have completed revamped our home page with a cool new look and super innovative features. The new outlook will offer a better user experience so you can buy more conveniently. We have created better filters, simpler search options, and self-explanatory categories, so you spend less time finding your dream vehicle and more time enjoying riding it. With your support and trust we have grown 500 times in past 10 months and our growth is really the transactional growth seen by nearly 20,000 strong seller community who has adopted Droom platform so far. So, just get set to see our TV ad soon. !